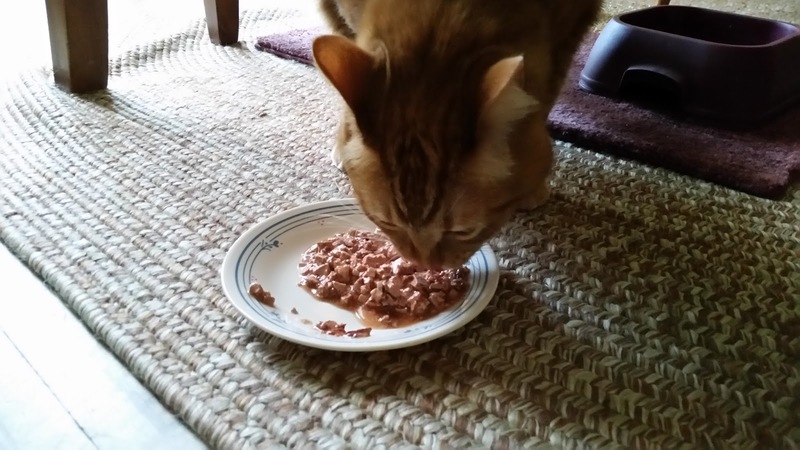 Its a little late, but we did manage to get Leki his tasty wet cat food for his birthday. Chris picked up a slightly different brand than usual, so Leki gobbled it down then promptly vomited it all up again. He's eats too fast and has a bit of a sensitive stomach. So far we've only found one cat treat he can eat without throwing it back up. Sheesh.